Many teachers ask me about differentiated guided math lessons to meet the needs of individual students. This discussion is an integral part of my teacher professional development workshop because this is one of the biggest transitions teachers will make. 3.C.1: Add and subtract whole numbers fluently within 1000. 3.AT.6: Create, extend, and give an appropriate rule for number patterns using multiplication within 1000. 4.C.1: Add and subtract multi-digit whole numbers fluently using a standard algorithmic approach. 4.AT.1: Solve real-world problems involving addition and subtraction of multi-digit whole numbers (e.g., by using drawings and equations with a symbol for the unknown number to represent the problem). 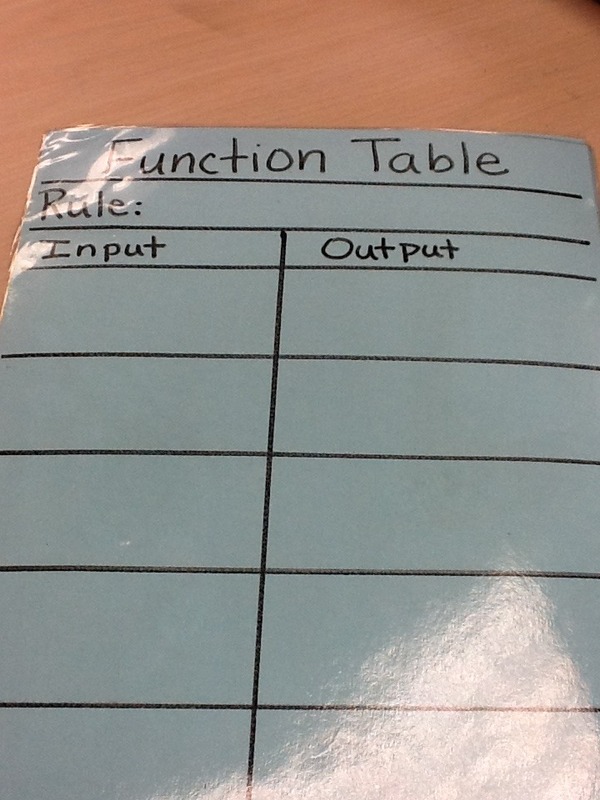 First these function tables were made and laminated for student use. Make sure you have about three extra for your largest Guided Math Group. Then the teacher worked with the lowest group. She had a discussion about how this form is just like an addition equation. The students asked questions because they didn’t understand how. Then the teacher added the first number in the input column. 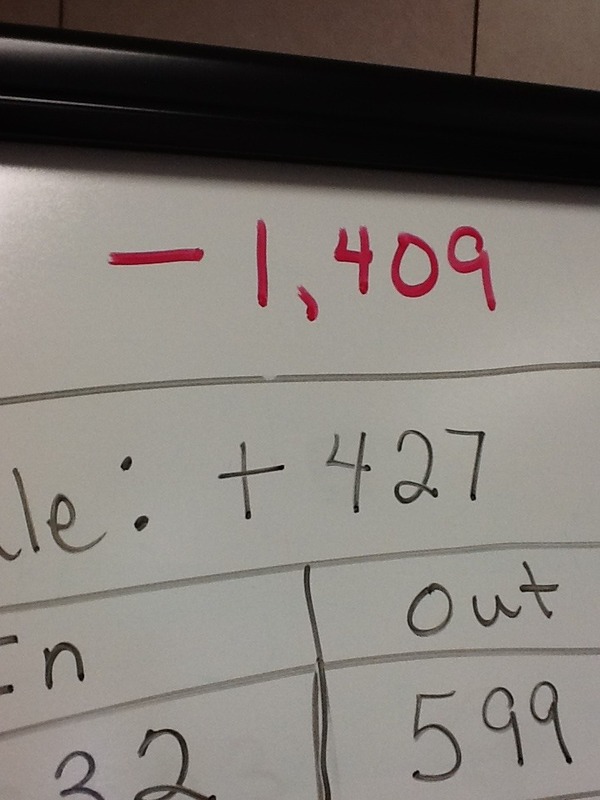 The students were told this number was the first addend in the equation. Many questions and connections followed. Students recalled that meant there had to be a second addend. The teacher then asked the students what they thought the rule was. 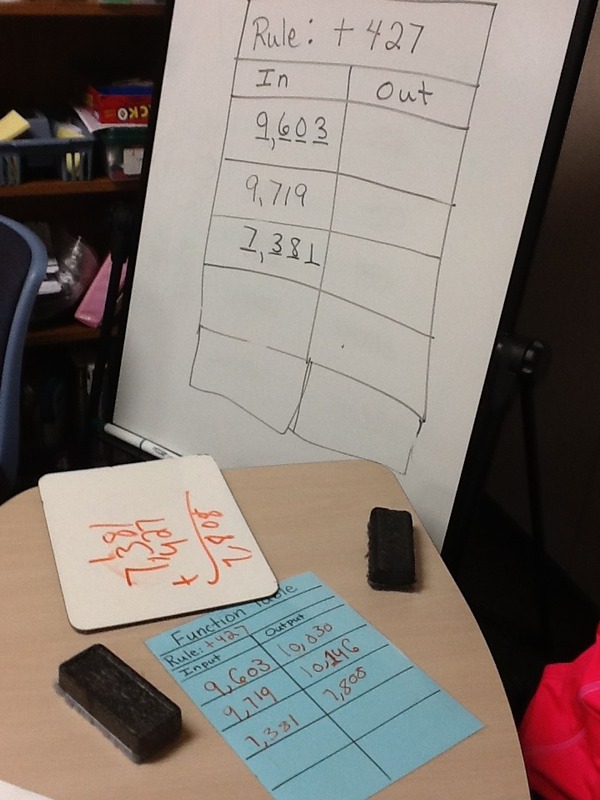 Since she had set up their thinking about connecting to addition, students came to the idea that the adding part goes there. A short discussion about the sum is placed in the output column rounded out the discussion. 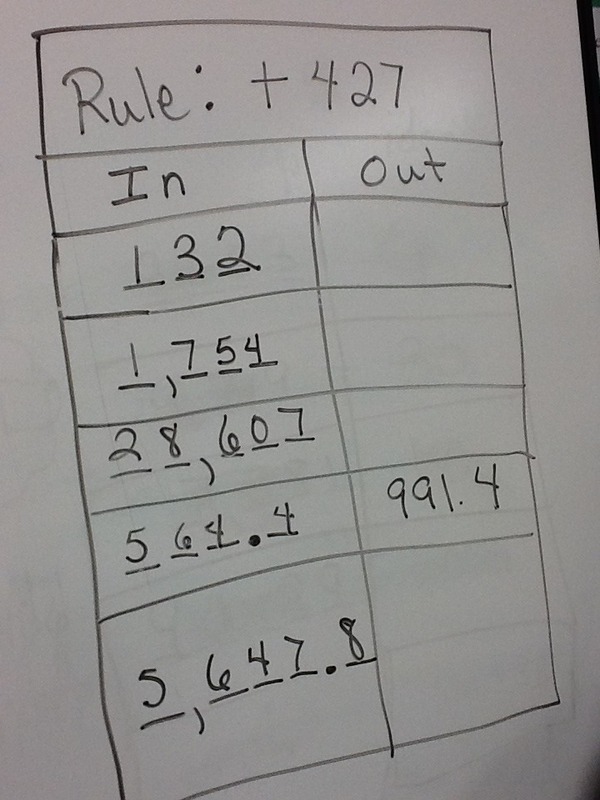 You can see in this picture the teacher wrote the input numbers and the rule at the top. The teacher writes the input number and the rule on the Guided Math Board. The students also had dry erase boards to do the computation work on. Then they recorded their sums in the output column. Each student worked at their own pace. The teacher guided the students as they asked questions or needed help. This work continued until the time limit was up. If students didn’t finish, the teacher does not keep the lesson going because students will practice more tomorrow. Because the teacher is using differentiated guided math lessons, the teacher adds more to the next board. These students are ready for more. Look at this Guided Math Board to see the differentiation. Notice the teacher add decimals and did one together with the students so they could understand the connection. Then the students in this higher guided math group practices addition at their level. Same basic lesson with extensions. When the highest math group came for this lesson, a new challenge presented itself. One student worked at a faster pace, so the teacher added a new rule at the top of the board for any students who finished early. (The directions were if you know how to do this new rule, then do it. If you think the math can’t be done, then skip that one for now, i.e. -1409 + 427 = ? She had to think of this on the spot because one student finished early. Guided Math Group Lessons can be extended for faster paced students. This way of differentiating can be done for any grade level and with any math concept lesson. To do this, just think of the next math skill to be taught connected to the one you are teaching. I hope this helps you to see how differentiated guided math lessons can be planned for and used with your guided math groups. This part part whole mat can be used to teach addition and algebra in guided math groups. The Kindergarten and First Grade version of this activity would be to use a part-part whole mat. Show the students the number 5. Have them put 5 counters in the first part side. Ask them to add 3 in the second part side. To find the sum, they need to push the 5 and 3 into the whole section and count them. After doing this with the students throughout the month, the next step would be to have them also write the equation on a dry erase board. (The teacher will have to model this for several weeks before. How about using this version in guided group stations after you have practice using the mat with students in guided math groups? Fun! This is the next step of taking the differentiated guided math lessons and adding an activity a few weeks later to your skills review station. This part part whole plate can be added to Guided Math groups.